I like hearing Cole's voice but man I'm starting to get a little tipsy here. Lucic should mayb get a penalty for a high hit? Don;t know what's legal any more. Head shots fine, 2 games max for taking a guy's head off. A trip that involves the knees, 2 games. High hit to the jaw. Nothing. High hit to the head. Nothing. Flames look tired. They need to start skating again. I think I heard unsportsmanlike? 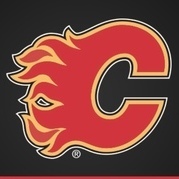 Because we are the Calgary Flames.. The Flames need to create some offensive pressure. 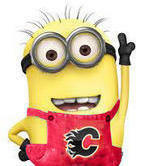 We all know the NHL and the refs hate the Calgary Flames so we gotta get over that and win!! Rittich is making some good saves. Bennett is keep letting the Oilers picking his pockets. Bennett is playing like crap. I want Coach Bro to eat a Tide Pod. 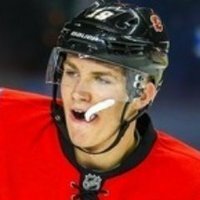 Bennett made a nice play in the first early in the period to break up a scoring chance for the Oilers but I think he is overrated with alot of Flames fans Every game he tries to do so much instead of keeping it simple. Either he doesn't pass and makes to outdeke every defender which NEVER works with him or he gives up the puck. Seriously in every game he does this! I wanna see them simplify the game for the rest. Get some shots instead of making the extra pass. Had a few possibilities for a chance but passing it onto the oil’s sticks instead. Yeah, frustrated with Bennett as well. I’d sit him out the next game. being tired though, it is time to play their positions and get chances by playing smarter. The oilers had a lot of open ice. He's playing like a 4th line player, but getting 2nd line ice. BP needs to mix it up in the 2nd. You know they are playing CM 28 minutes. Have to play our star line more. Considering this is a 1-0 lead for a fresh team on home ice, and they have had 2 PP's, things aren;t that bad. 4 minutes wasted playing PK. Need to get some open ice and shots on net. Kostinen is shaky when you apply pressure. We can break this open in the 2nd. Koskinen has only shut out one team and that was the Stars. Has he shut out a Pacific team yet?